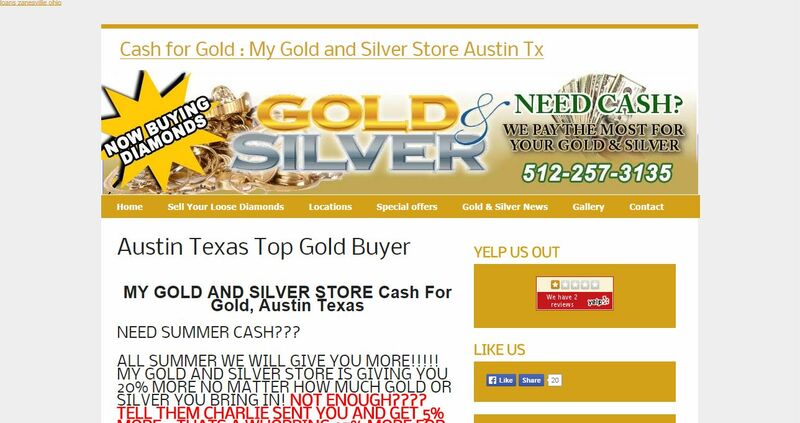 My Gold And Silver Store address, phone, website, and more. With over 20 years experience, we make the selling of your gold, silver and coins as easy as possible! We can assist anyone in selling gold pieces, broken chains, broken necklaces, charm bracelets & Gold & Silver Coins. We pay up to 3 to 5 times that of the National Gold Mail-In companies. We don’t care if your jewelry is broken, ugly, or missing pieces. We buy it all! Regardless of the age or condition of your jewelry, we buy all items made from gold, platinum or silver (we do not buy fake gold or costume jewelry).